Polisport was founded back in the 1980’s in Portugal, but since then they have grown well beyond their country of origin. They now boast products and activity in more than 70 countries worldwide, handled by their more than 300 employees. Throughout this time, they’ve developed state of the art products for both bicycles and motorbikes. Here at Dennis Kirk, supplying high quality parts to bike enthusiasts is our number one priority. That’s why we’ve stocked a great selection of Polisport dirt bike parts for you to choose from. Polisport clutch cover protectors are a great option for any rider hoping to protect their clutch. They are made of impact resistant PA6 plastic, offering reliable protection from rocks and impacts. Installation is quick and easy, and all of the hardware you’ll need is included. Unfortunately, we can’t promise that one of our clutch covers will fit your specific bike. Want to find out if we have what you need? 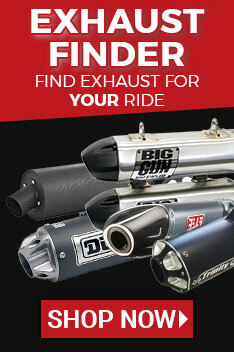 Go to the top of the page and put in your bike’s make, model, and year where it says “Find Parts Fast”. We’ll bring forward all of the parts that will fit your bike offered by Polisport. This is a great way to sift through Polisport’s seats and radiator louvers. When you have your parts, come back and leave a review! Future customers would love to hear your opinion, they would thank you if they could. One of the worst parts of online shopping is having to pay for shipping. But, this is something that you can easily avoid. Orders over $89 ship free here at Dennis Kirk. If you don’t like paying for shipping, this is the best way to avoid it! When you’ve hit the mark, place your order. We will happily ship your order for free as soon as we can. Thank you for shopping at Dennis Kirk.